sisters, Sarah Wester and Golda Harris. 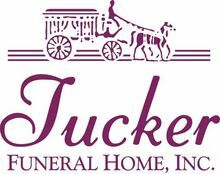 Services: 1 p.m. Monday at Tucker Beechmont Funeral Home. Burial: Union Ridge Cemetery in Belton. Visitation: After 5 p.m. today at the funeral home. The beautiful and interactive Eternal Tribute tells Icy's life story the way it deserves to be told in words, pictures and video.